It may not be fair to post this as it pertains to only the girls and the women (there may be a couple for the guys), but these life hacks are too good to miss out on. Women usually do have a set of unique issues that the guys do not have to deal with. 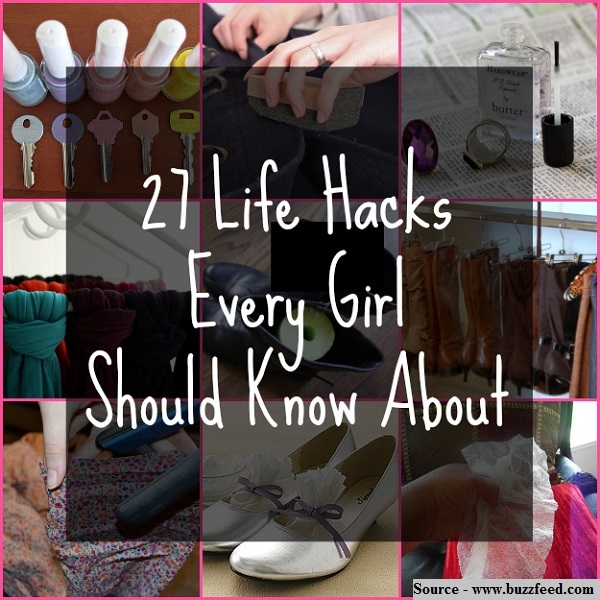 These hacks will aid the "girls" in making some of the tasks a little easier. Thanks to buzzfeed.com for compiling these 27 life hacks that every girl should know. Follow the link below to learn more about these tips.